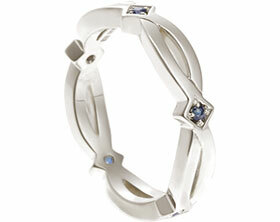 Alex and I designed this simple palladium engagement ring for Onyi. 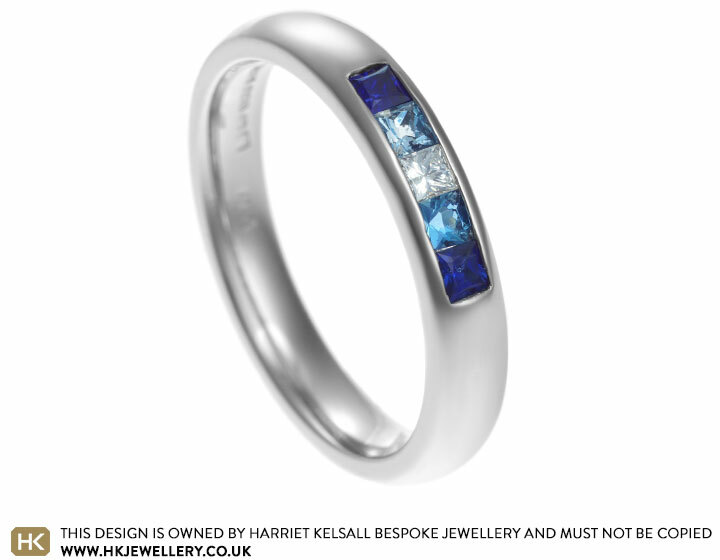 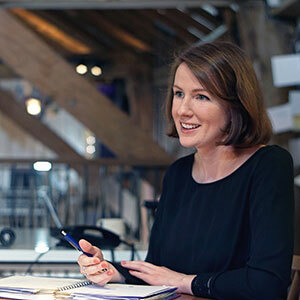 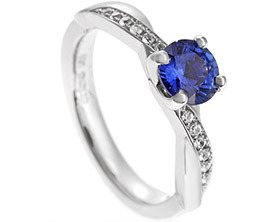 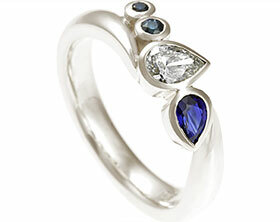 Alex loved the idea of graduating stones so we chose a deep blue sapphire, graduating to a paler blue aquamarine and then a diamond in the centre. 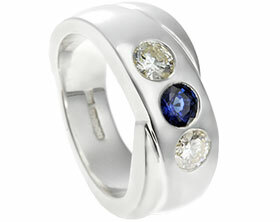 All the stones are 2mm in size and are princess cuts which we have channel set for a lovely row of sparkle. 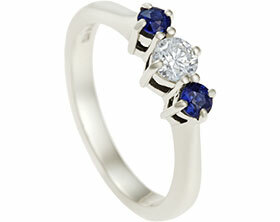 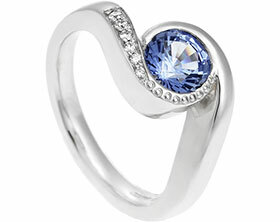 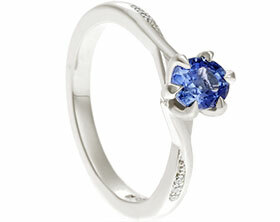 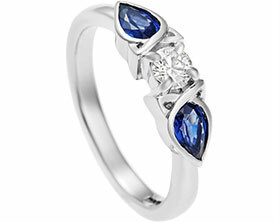 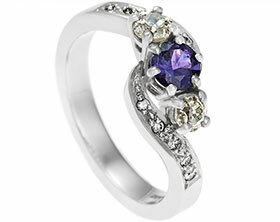 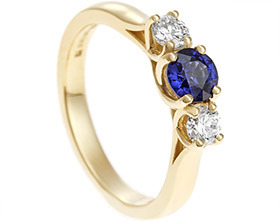 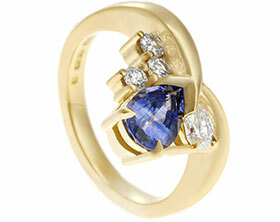 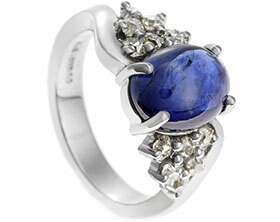 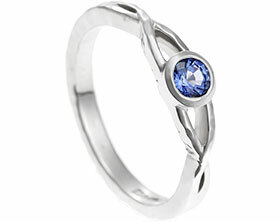 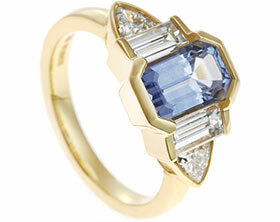 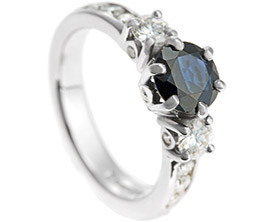 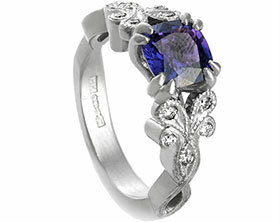 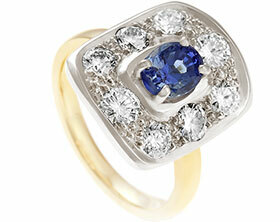 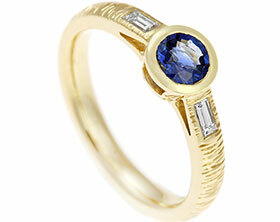 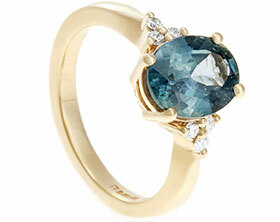 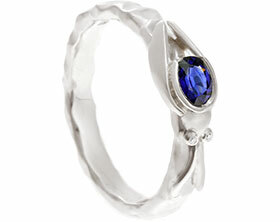 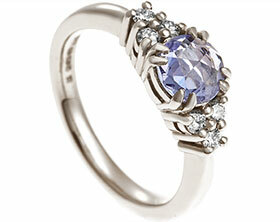 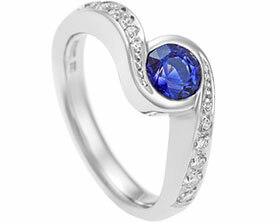 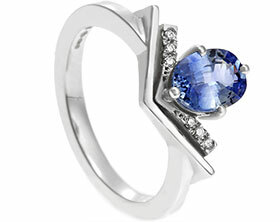 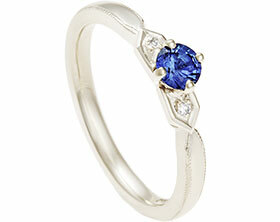 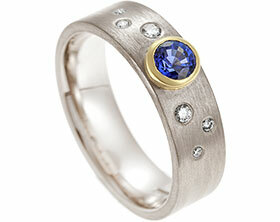 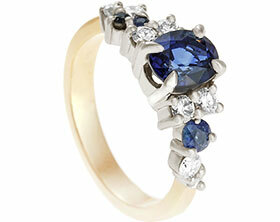 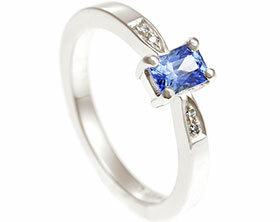 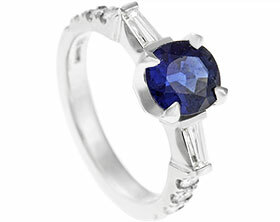 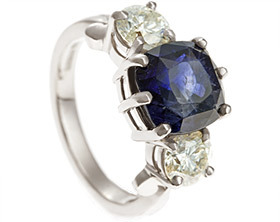 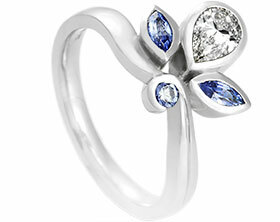 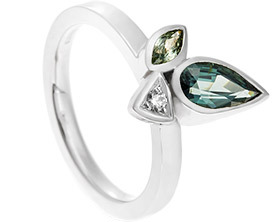 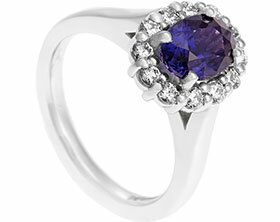 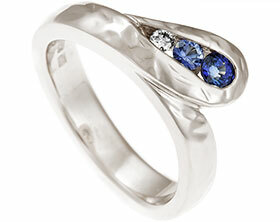 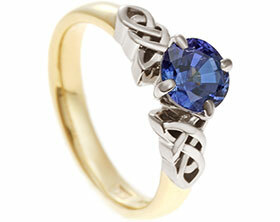 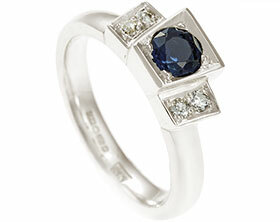 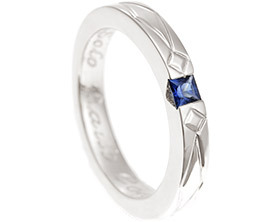 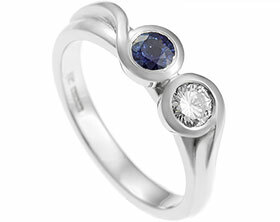 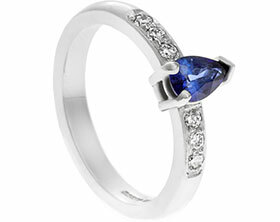 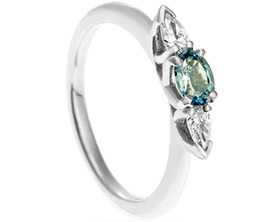 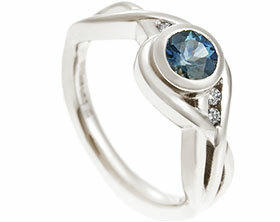 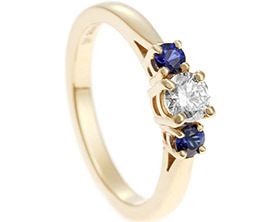 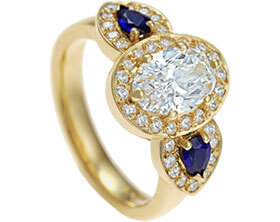 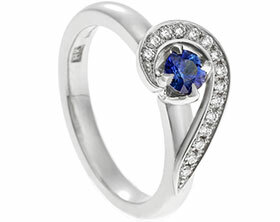 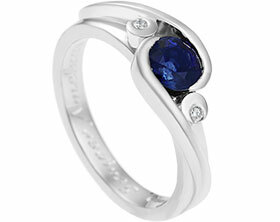 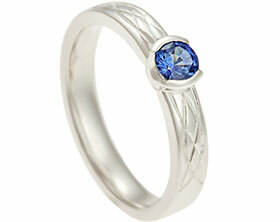 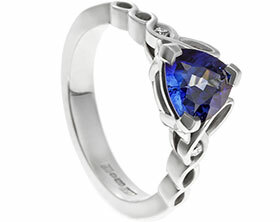 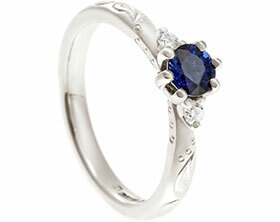 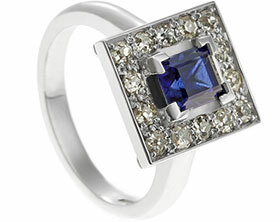 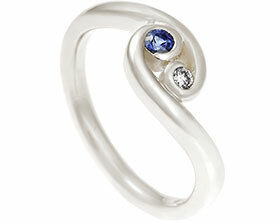 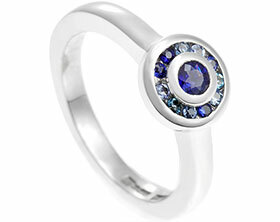 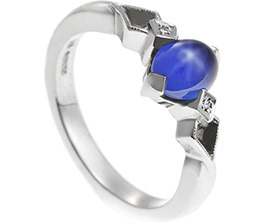 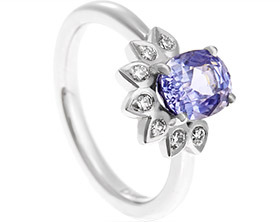 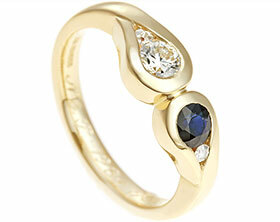 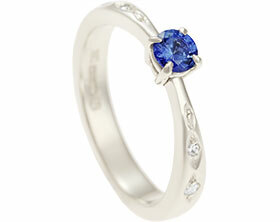 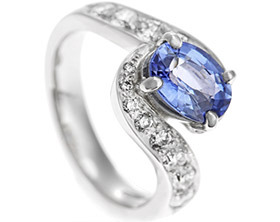 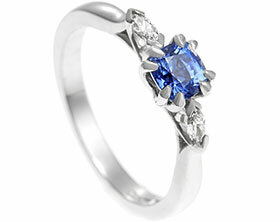 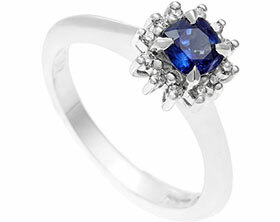 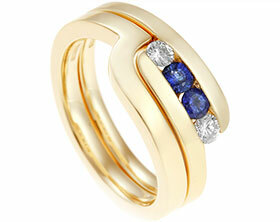 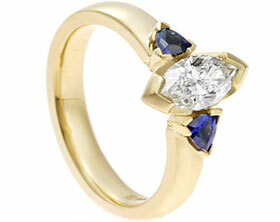 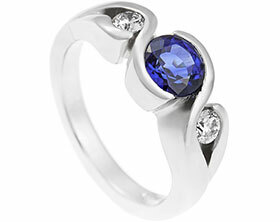 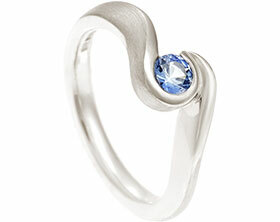 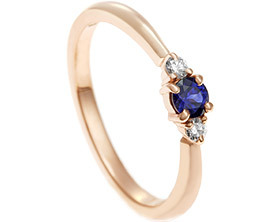 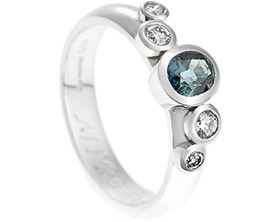 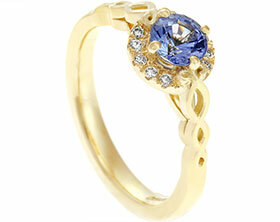 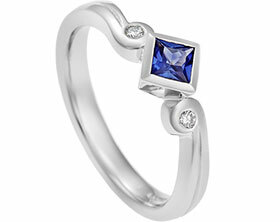 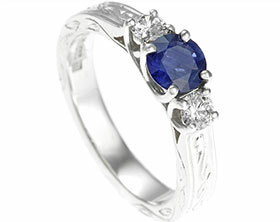 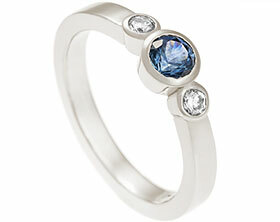 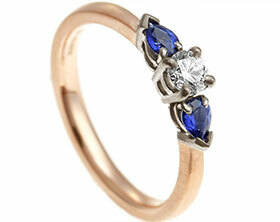 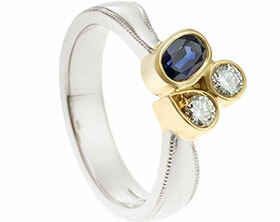 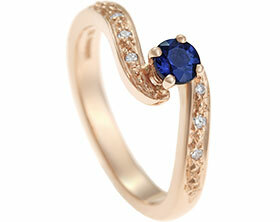 The ring is 3.5mm wide with a courting profile and a polished finish.